How to manage Pest Birds? Research and practical experience have shown that Bird Control is most effective if different methods such as bird roost inhibitors, netting, visual and sound bird deterrents are being used in combination. Bird Roost inhibitors are a simple but very effective bird control weapon. For example, bird spikes prevent birds from landing on their most popular spots such as roof ridges, ledges, Chimneys and other places. Bird netting is commonly used by farmers and gardeners to protect crops from bird damage. Netting is also being used to exclude birds from buildings, historic facades, warehouses or industrial plants. 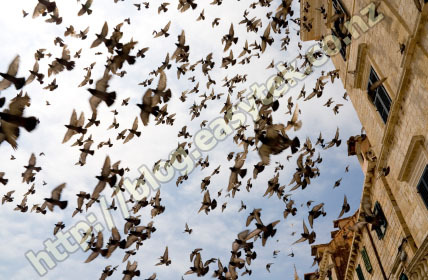 Visual bird scarers have a long history in bird control. The first Scare Crows were being used hundreds of years ago. Today’s products combine space age technology such as holographic effects with frightening sounds to effectively scare away pest birds. Advanced light and laser bird repellers chase away pest birds with constantly changing light patterns. Acoustic bird deterrent systems include gas guns and bio-acoustic scare devices. These systems aim to create a permanent danger or 'no-go' zone by emitting either species-specific alarm and distress bird calls, predator cries or sound harassments. Many of these devices have adjustable features such as intermittent sound, different volume levels or automatic day/night operation. They are frequently used in open outdoor areas such as farm fields, orchards, vineyards, on boats, roof tops or inside warehouses, hangars, sheds and other buildings. In order to solve a serious bird problem experts often recommend using a bird management program. An effective bird management program includes a combination of the above bird control methods. For example, bird infestations in warehouses and storage facilities can be targeted with a combination of bio-acoustic bird repellers and a visual bird scarer such as a laser system. Bird exclusion netting and large area acoustic bird deterrents (e.g. 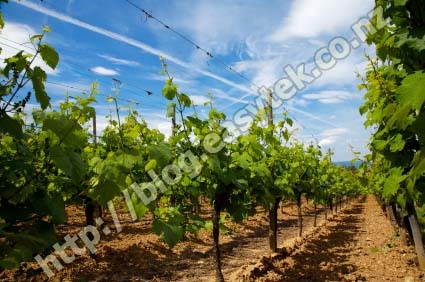 gas guns and/ or bio-acoustic systems) are commonly being used to protect grapevines from bird damage. We can help with creating an effective bird management program tailored to your needs and bird pest situation. If you would like a recommendation feel free to get in touch with us via the 'Contact' form on top of this page.